"He has always been so calm and gentle around her." 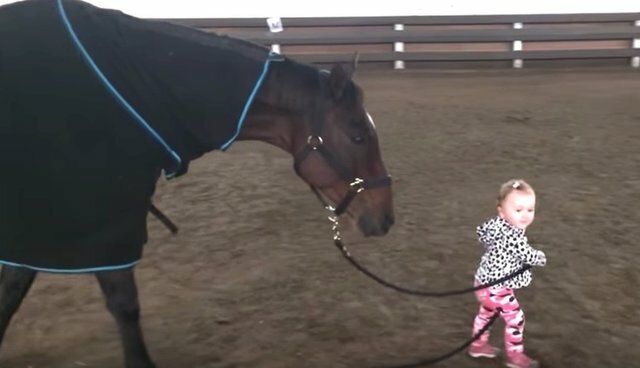 Mira and her horse, Justice, have been best friends since Mira was only a week old, and Justice knew they were meant to be friends long before that. 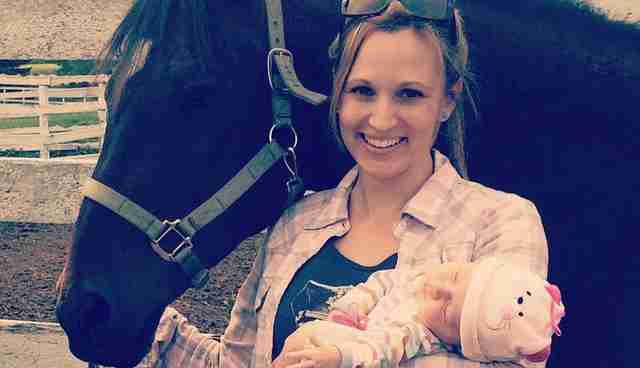 Jill Alison Galick always loved horses, but had never spent much time with them until she began struggling to have children. 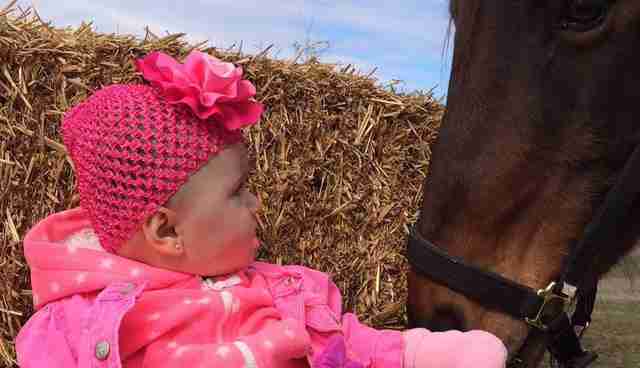 She decided to take up riding horses as a way of boosting her happiness, and that's where she met Justice. Galick began riding Justice regularly, and soon adopted him. 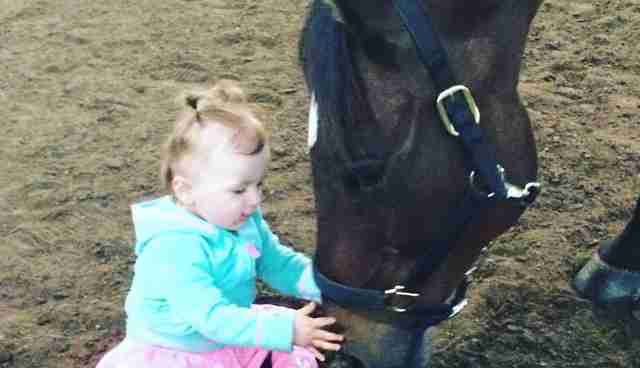 Her bond with Justice was unlike any other, and he was there for her as she continued to try to start a family. "I am so thankful I had him during these difficult times," Galick told The Dodo. 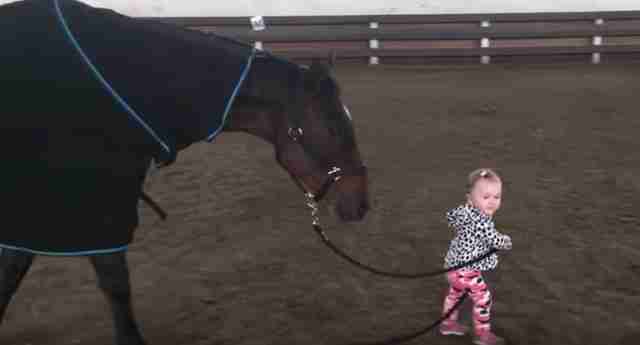 "I know it sounds ridiculous but I swear this horse understood what I was going through." Finally, in 2014, Galick found out she was pregnant. 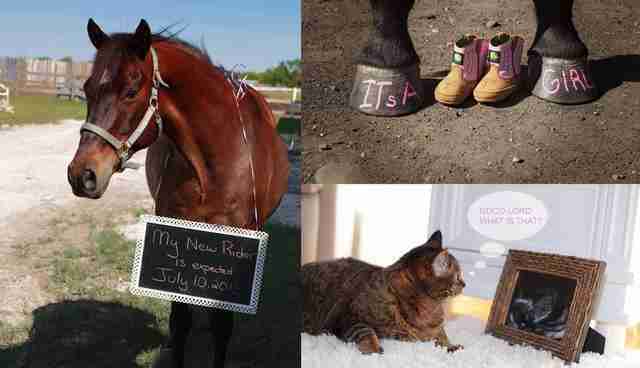 Before her daughter was even born, Justice seemed to know she was coming. 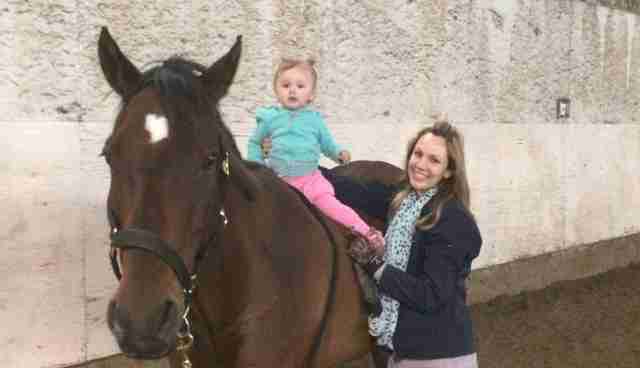 When little Mira finally arrived, Justice was a huge part of her life from the very beginning. He had been her mother's best friend, and now he was Mira's too. "He has always been so calm and gentle around her, and for that I am grateful," Galick said. "I will never take that for granted." 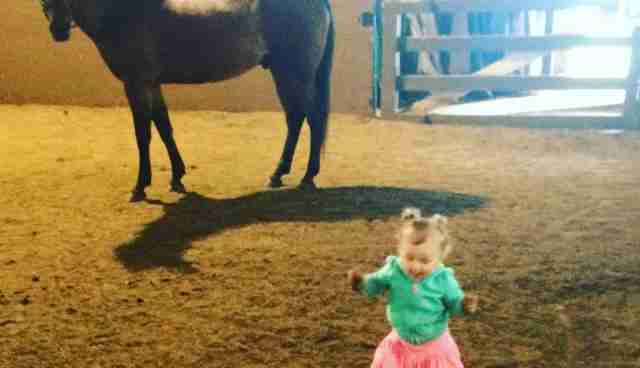 Every weekend, Mira and her mom go out to the barn to visit Justice. Mira's favorite thing to do is hold his lead and take him for walks, while mom stands right nearby, and Justice is incredibly patient and loving with her every step of the way. "I feel so blessed that Mira can now be a part of his life," Galick said. "I hope he can be there for her as she grows older and offer her the peace and tranquillity he has provided me." Justice will be there for Mira as she grows up, and for Mira's future little brother or sister, too, as Galick is pregnant again.